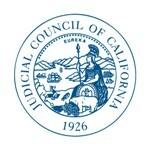 SAN FRANCISCO—At its public meeting on August 21–22, the Judicial Council will consider a recommendation from its Technology Committee on a governance and strategic plan for court technology. If approved by the council, the proposed plan would provide a structure and roadmap for technology initiatives and increase the transparency and accountability of how funds are managed for technology projects in the judicial branch. Prior to presenting it to the council, the committee shared and received input on the plan from presiding judges, court executive officers, court information officers, the Legislature, and the Governor’s administration. The technology plan was also posted online for public comment. Sargent Shriver Civil Counsel Act: The council will consider a recommendation to award $7,738,000 million in grants to qualified legal service organizations and court partners for pilot projects to provide legal representation and improved court procedures for eligible low-income litigants in civil cases affecting basic human needs. Draft Strategic Plan for Language Access in the California Courts: The council will hear an informational report from its Joint Working Group for California’s Language Access Plan. The working group’s draft Strategic Plan for Language Access in the California Courts is currently posted for public comment. Deadline to comment is September 29. Final Report of the California Task Force on K-12 Civic Learning: The council will get an informational report from the California Task Force on K–12 Civic Learning, which was established by the Chief Justice and State Superintendent of Public Instruction to develop recommendations for elevating the status of civic leaning in our public schools. Department of Finance Outlook on the State Budget for 2014–2015: The council will get an informational report on the state budget from Michael Cohen, the director of the California Department of Finance. 2014 Recipients of Distinguished Service Awards and Access to Justice Award: At a special awards presentation, the council will honor the recipients of this year’s Distinguished Service Awards, which recognize individuals who exemplify the leadership strengths that create significant and positive contributions to court administration in California. The council will also present the Aranda Access to Justice Award, which honors a judicial officer who has significantly improved access for low- and moderate-income Californians. The council’s two-day public business meeting is scheduled for Thursday, August 21, from 1:00 p.m. to 6:00 p.m., and Friday, August 22, from 8:30 a.m. to 12:50 p.m., at the Judicial Council Conference Center, Hiram Johnson State Office Building, Third Floor, Ronald M. George State Office Complex, 455 Golden Gate Avenue in San Francisco. A live audiocast of the meeting will be on the California Courts website, and the agenda and council reports are posted online.